At The Greek Table will be hosting it’s first cookbook signing and wine dinner event at Legal Seafood’s new concept called Oysteria in Charlestown, on Thursday, January 15th. Chef Paul Delios and wine director, Fotios Stamos, have teamed up with Master of Wine, Sandy Block and the Legal’s culinary team, to orchestrate a Greek-themed wine dinner. The team will be pairing wines from Santorini, Nemea, and Naoussa with modern twists on Greek cuisine. Seating is limited and more information to come. 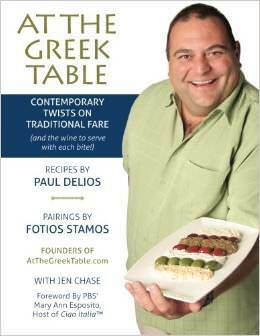 BUY THE AT THE GREEK TABLE COOKBOOK ONLINE HERE!